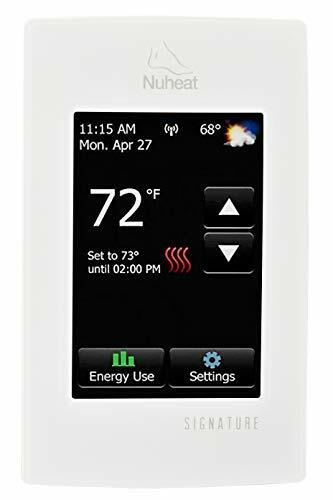 This Programmable Wireless Thermostat is intended for automatic control electrical heating in winter/cold area or control electrical cooling devices in summer/hot area. It will automatically turn on/off heating devices as your preset target temperature or preset time range, to maintain a stable room temperature in order to provide comfort and save energy. ♥Note: Please read the user manual carefully before first use. 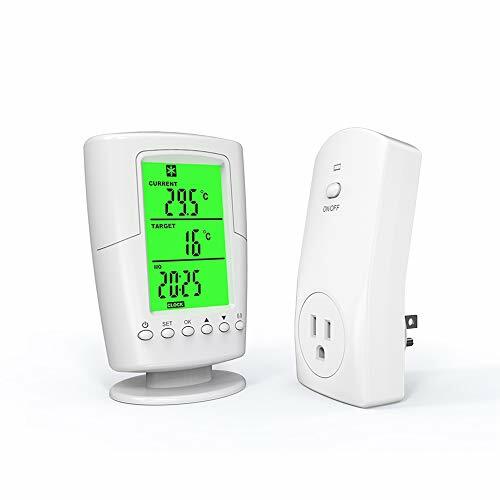 ♥【Programmable Design and Wireless Remote Design】: You can set different target temperature in different time range to obtain a comfortable circumstance and save energy. Built in temperature sensor to control your heating and cooling devices within max. 20m transmission range. ♥【Backlight LCD and Easy to install】: Big LCD screen with green backlight displays current temperature, target temperature, clock/heat/cool programs, providing clear view even in dark environment. The remote control thermostat is designed with a stand and a hanging hole, can be placed in desktop or mounted on wall. ♥【Flexible Usage and Easy to Use】: One remote control thermostat can be paired with multiple plug in sockets. 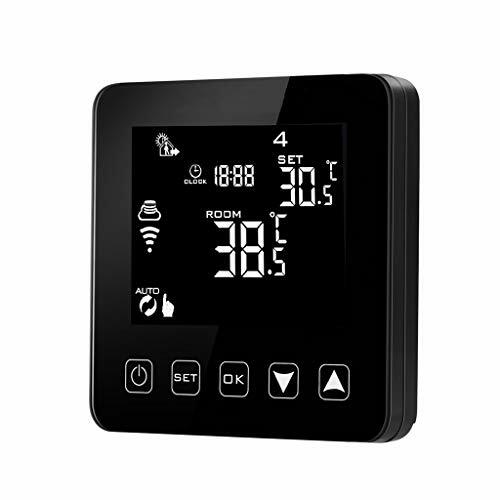 It consists of a remote control thermostat and a plug in socket, plug and play. ♥【Reset Function and Children Lock Function】: 12H/24H mode and °C/°F mode switchable. One button to delete all setting and back to factory setting. 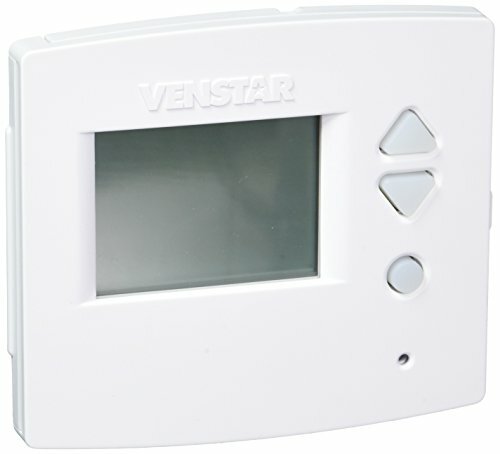 The remote thermostat will automatically lock itself if there’s no operation for 10 minutes. ♥【Heating/Cooling Mode Settable】: Used to control both heating or cooling devices. Heating program: P1~P4, cooling program: P5~P8.